Available for pickup or delivery, landscaping supplies for your next outdoor patio or garden walkway. Turfsavers Tree Farm specializes in quality building materials for projects ranging from retaining walls to planting lawns. Create the outdoor sanctuary you have always wanted! Designing the perfect patio or walkway is all part of Turfsavers Tree Farm. 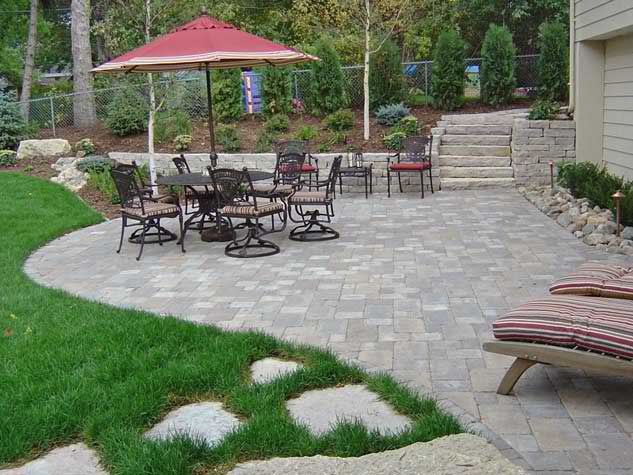 Our expertise will help you in designing the walk way, patio, or retaining wall that you will love. Turfsavers will make sure the new construction is aesthetically pleasing, but we must also take into consideration issues such as sustainability, drainage, mold and pests. From the back yard to the front, Turfsavers will send you home with every landscaping supply you need to plant that new tree, or setup that new walkway. Whether you have Turfsavers Tree Farm plant your new trees for you, or you decide to plant them yourself, all of the supplies are on hand here at the farm. Turfsavers Tree Farm offers a full range of services seven days a week, by appointment only, for tree planting, tree sales, landscape supplies, and landscape construction needs.